Had a very busy day yesterday. BUT a very lovely one as well… it actually was my plan to post the high light before going to bed. But I was too tired and fell a sleep with my Laptop. I finally uploaded works by the last two of the 7 artists that will perform at the next Art@Tings event in December Laxman Karmacharya and Arjun Khaling. Now it’s possible to see previous works from the artists who will invade Tings in December… But what they will show is still unknown…. that’s not quite true – Aditya came by and showed us som of his ideas. Like the rest of Nepal Annette and I had our Tika – for the second year we got it from Ani whom Annette gave one in return. We really like this colorful festival – even though almost everything is closed. We have introduced two new items on the menu (or at least on our torday’s specials. All 12 pieces sold out in one night… 150 NRP pr piece. The cheese cake will be a permanent dessert as from today! Before we went to bed Thomas posted a groovy track on his new category Spaced-Up@Tings. Gnod & White Hill’s Drop Out. 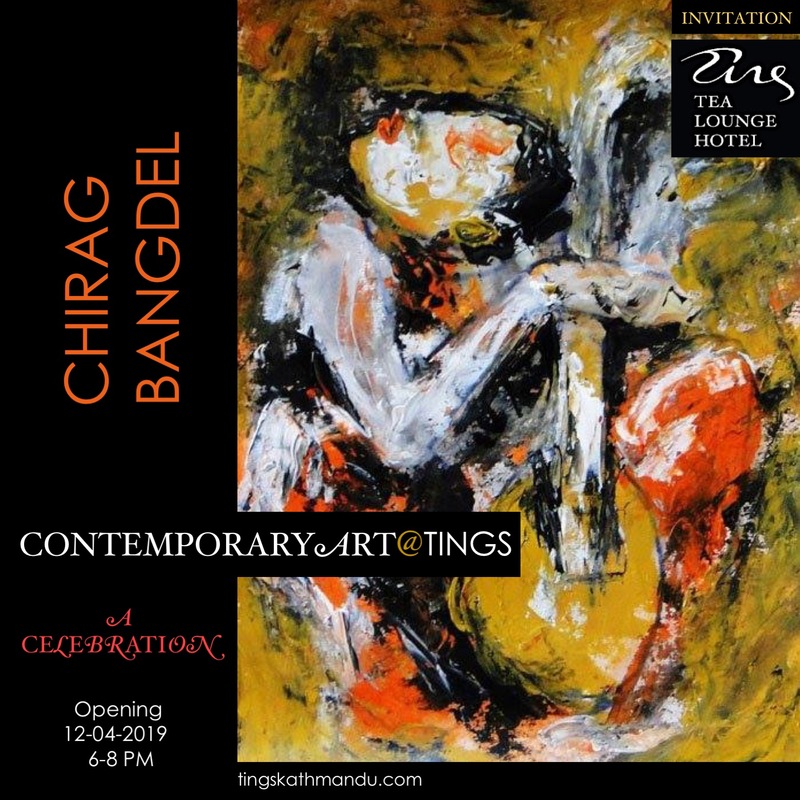 Posted in Art@Tings, Tings Kitchen, Tings MusicTagged Aditya Aryal, Annette Tingstrup, Arjun Khaling, Art @ Tings, Art@Tings, Cheese Cake, Hotel, International, Kathmandu, Lazimpat, McVities Digestives, Nepal, Paresh, Thomas Tingstrup, Tings Lounge Hotel, Tings Tea LoungeBookmark the permalink. i am suprised to see laxman bazra lama in the articles? who is this laxman bazra lama?? ?